Microsoft announced last month it has a nice surprise for Xiaomi fans who own the Mi4 and wish to try out its new Windows 10 for Phones operating system. Even though Xiaomi came forward a few days after Microsoft announcement and confirmed that there's no partnership with the Redmond-based company, we know for sure that some Mi4 users will be getting a special Windows Phone ROM. 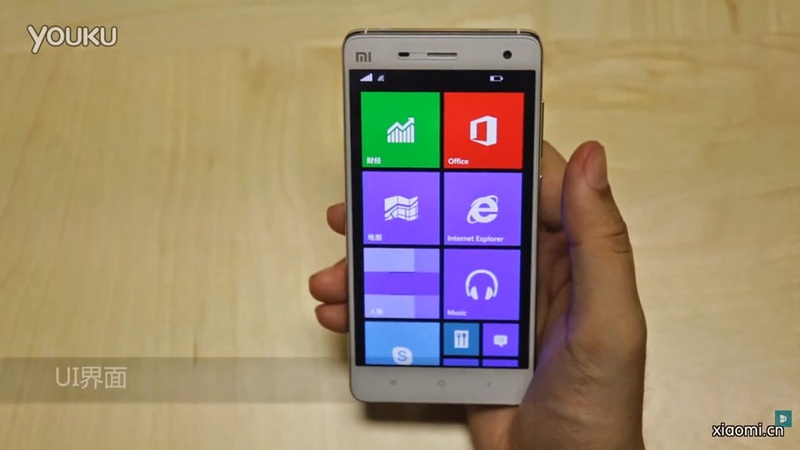 The Chinese company allowed Microsoft to use its forums to provide Xiaomi Mi4 fans of Windows Phone operating system the possibility to test the new platform on their devices and offer their feedback. In order to do that, Microsoft will be releasing an Windows Phone ROM that will be available for download via Xiaomi's forums. However, the company did not announce any timeframe for the release of the ROM, but we suspect it won't take long until it will go live. Xiaomi Mi4 owners from all over the world should know that this program will only be available in China, so if you're not located in the country you won't be given access to the Windows Phone ROM. Today, new information came to our attention, which suggests that Microsoft is very close to releasing the promised Windows 10 for Phones Technical Preview for select Xiaomi Mi4 users. It looks like the folks over at WindowsBlogItalia have just published a video coming from China, which shows the Xiaomi Mi4 running Windows 10 for Phones Technical Preview. Apart from the fact that it's really weird to see an Android smartphone running Windows Phone, it's also worth mentioning that the Xiaomi Mi4 runs very well on Microsoft's mobile platform; there's no lag and everything works smoothly. Check out the video below and let us know what you think about the possibility of creating an universal Windows Phone ROM for any Android handset.